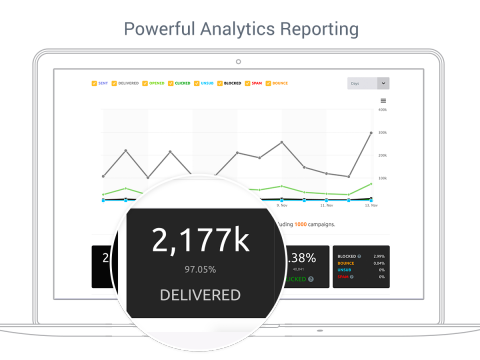 "Send, Track, and Deliver Captivating Emails"
By installing the Mailjet App, your Lightspeed merchant site synchronizes contact information with your Mailjet contact lists. This allows the information you have stored about your Lightspeed newsletter subscribers (example: email, first name, last name) and Lightspeed store customers (example: email, company, billing address) to be transferred into their own separate email lists within Mailjet. 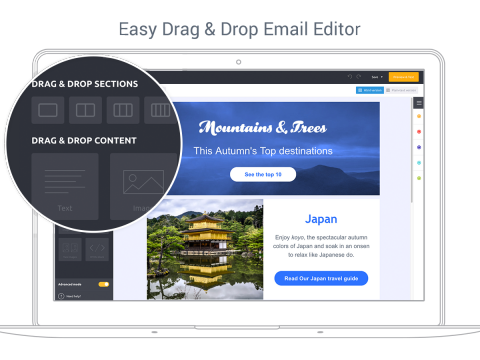 You can then use Mailjet’s powerful platform to segment, personalize, create and send engaging responsive emails to some or all of your Lightspeed contacts. Automatically synchronize your Lightspeed newsletter subscribers and store customers into their own separate Mailjet email lists. With ongoing synchronization, you never have to think about contact management again. You can also synchronize up to 5 customer groups as contact properties into your Mailjet contact lists. Create beautiful responsive emails with Passport (our drag and drop email editor), track the success of your campaigns, personalize content to your customers, segment your customer lists, conduct A/X testing, use our REST API and more. With infrastructure on 'both sides of pond', Mailjet simultaneously complies with data privacy regulations in North America and Europe. Mailjet offers user interfaces, documentation and 24/7 customer support in 4 languages (English, Spanish, French and German). 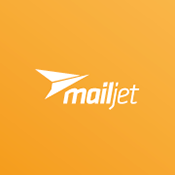 Founded in 2010 and with clients in over 140 countries, Mailjet is a market leader for easy-to-use email marketing and deliverability that serves more than 40,000 customers globally such as Galeries Lafayette, TagHeuer and Sketchfab. 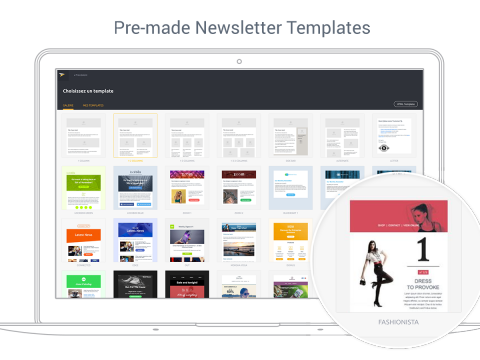 Mailjet’s intuitive online interface, responsive templates and powerful APIs give ecommerce merchants a powerful marketing tool to get the most value from each recipient, campaign and inbox. For more information, visit www.mailjet.com. Mailjet offers a range of pricing plans (starting from free forever!) that fit businesses of all sizes.